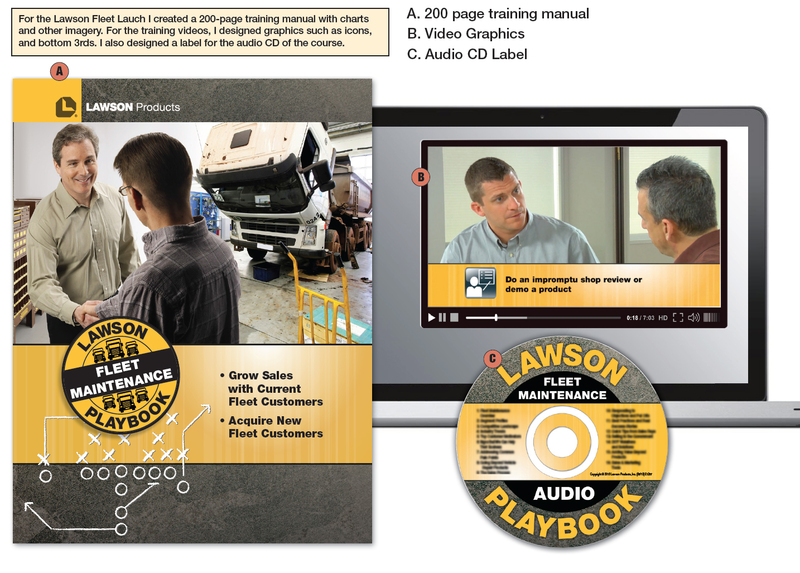 Home » Success Stories » Achievements » Hired as the Creative Design Manager for Lawson Products Inc. When I was hired full-time as the creative design manager, I inherited many diverse projects in various levels of development. This was at a very busy time with the marketing team working on the huge Fleet Launch Campaign. 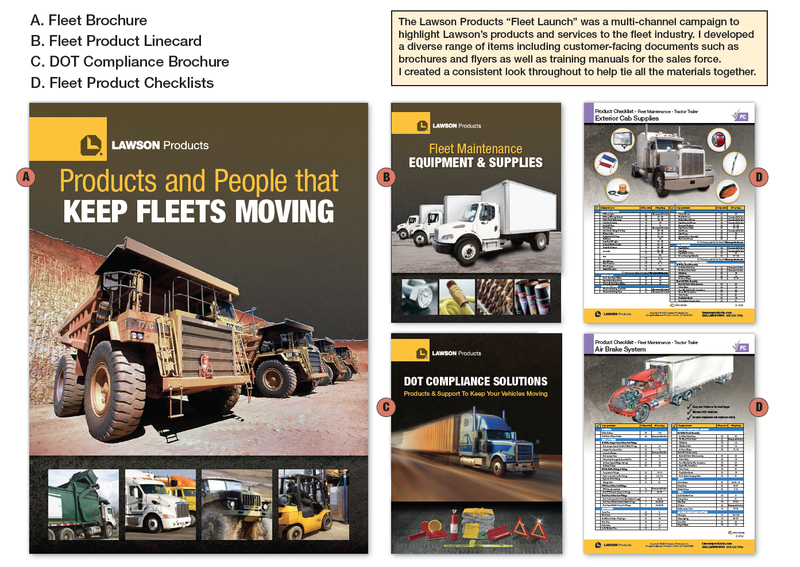 While working on the documents like the Fleet Catalog and Fleet Playbook, I was simultaneously refining the design department’s processes, organizing its files and resources, and leading our other designers. 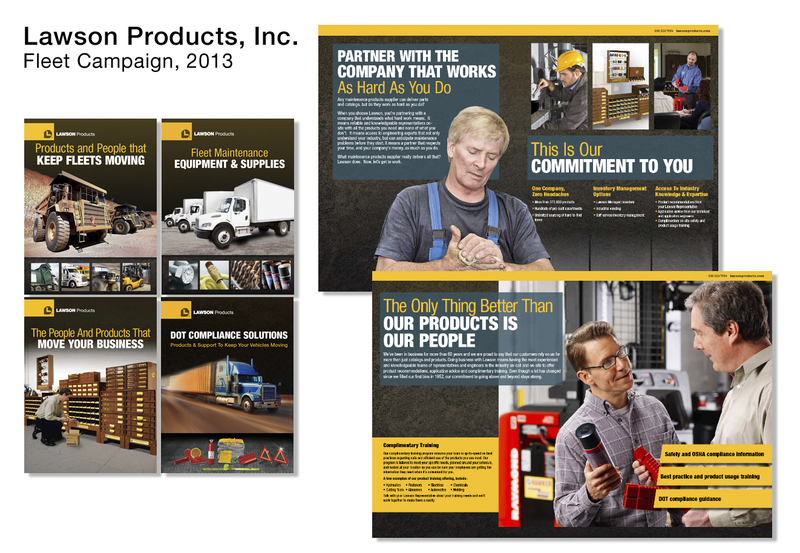 The Fleet Launch Campaign was a team success for sure, and we got a lot of positive feedback.